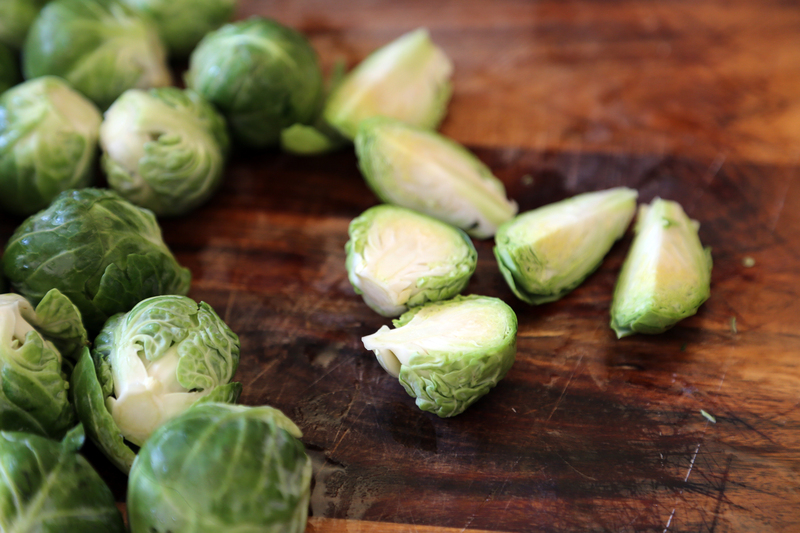 I hate Brussels sprouts. I think I say this every year. But everyone else seems to love them and want them on their holiday table. So this year, since I know I’ll be forced to make them (my entire family loves them), I am going all out and creating something I might actually eat. 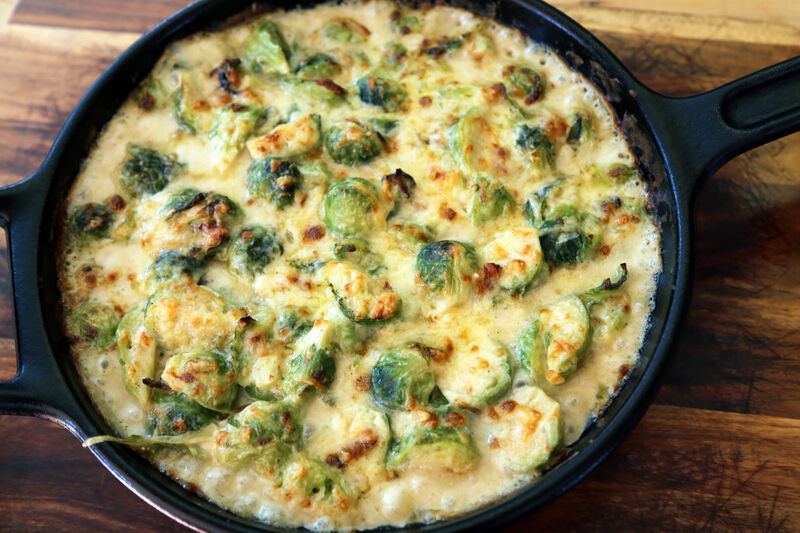 Introducing the richest, most decadent recipe involving the lowly Brussels sprout: a bacon-studded gratin bathed in Gruyère cheese sauce. I’ve since recovered and love kale, chard, butternut squash, parsnips, etc. But I just can’t find the love for these little cabbage heads. Anyway, this year I had a brainstorm. 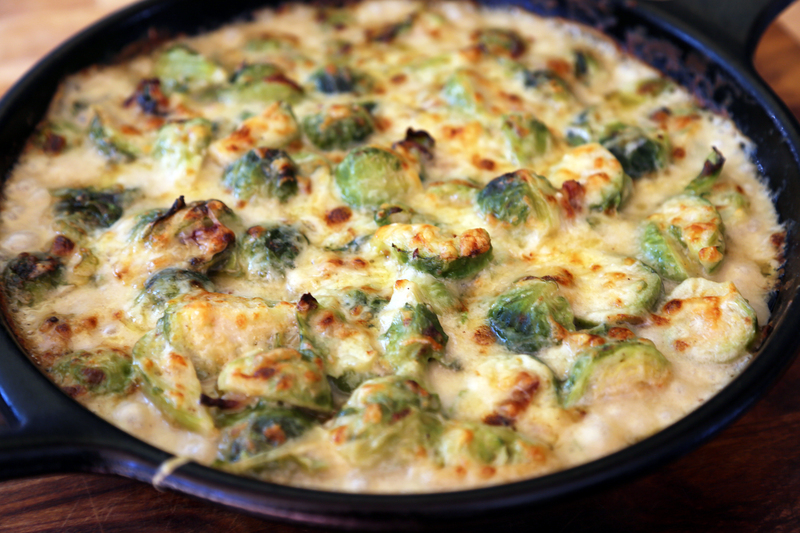 Throw them into a gratin! With bacon! And Gruyère cheese sauce! 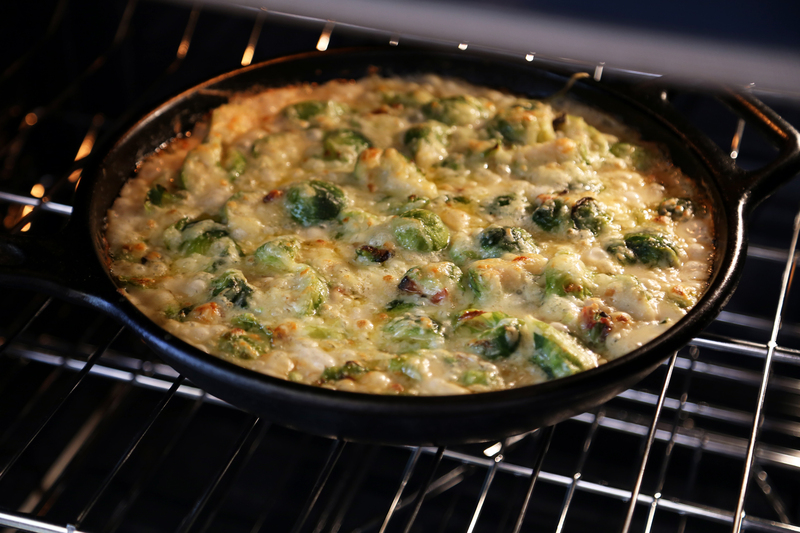 But watch out, this incredible side dish will have you picking away nonstop at the crispy-cheesy edges until half of it is gone. I know, because I ate a ton of it. Bring a large saucepan half filled with salted water to a boil over medium-high heat. 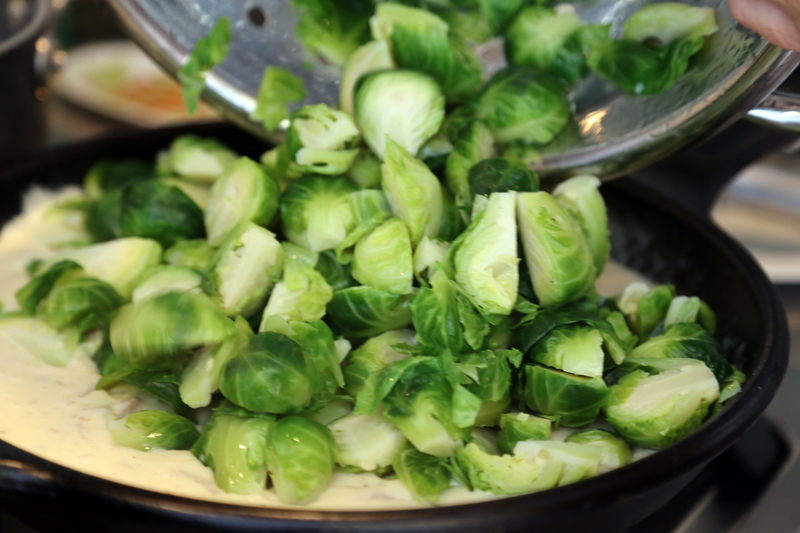 Blanch the sprouts until just tender, 3 to 7 minutes (depends on the freshness and size of the sprouts). 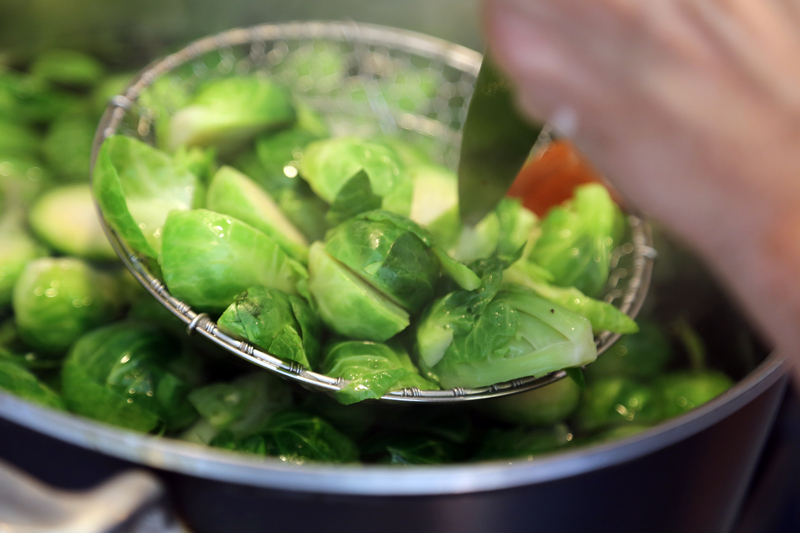 Drain in a colander and rinse under cold water to stop the cooking. 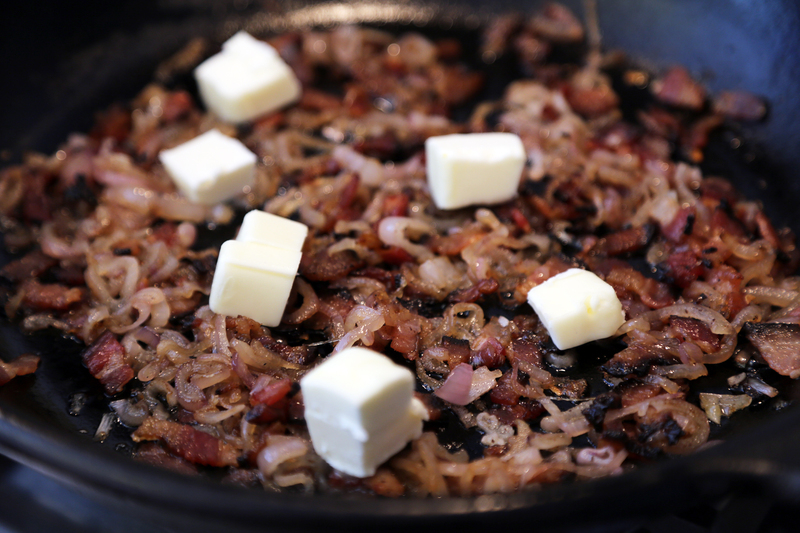 In a large heatproof frying pan over medium heat, fry the bacon until crisp. 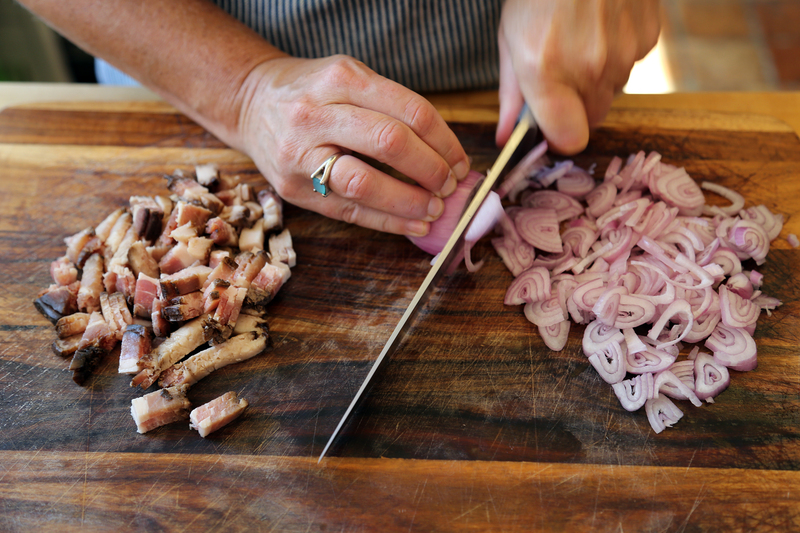 Using a slotted spoon, transfer the bacon to paper towels and add the shallots. Fry until tender, stirring, about 5 minutes. 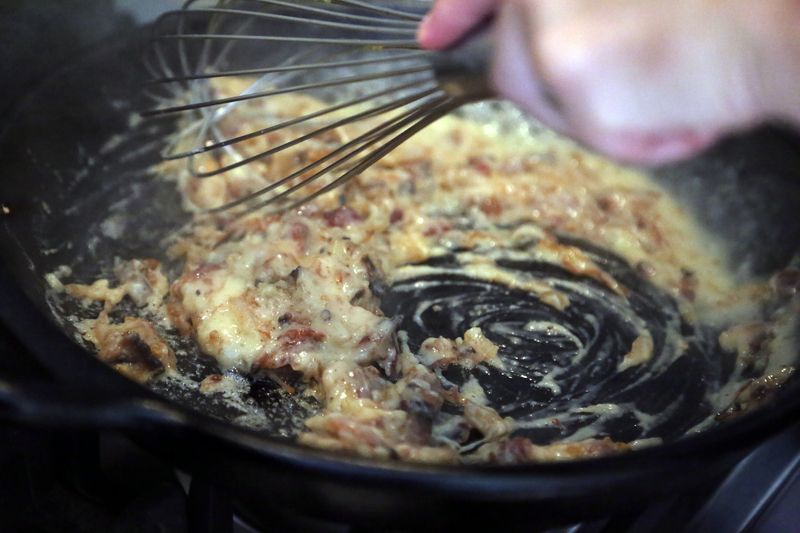 Drain off all but 2 tbsp fat and add the bacon and butter to the pan (if you don’t have 2 tbsp bacon fat, use 2 tbsp butter). Sprinkle the flour over the butter and cook, stirring with a whisk, until smooth. Slowly add the chicken broth, then the milk, while whisking, until thickened and smooth. 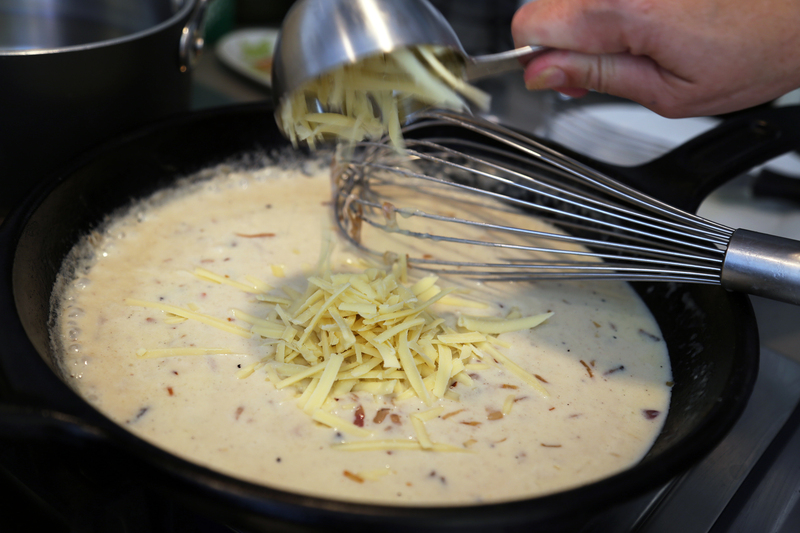 Add 1/2 cup of the cheese and stir until smooth. Season to taste with salt and pepper. 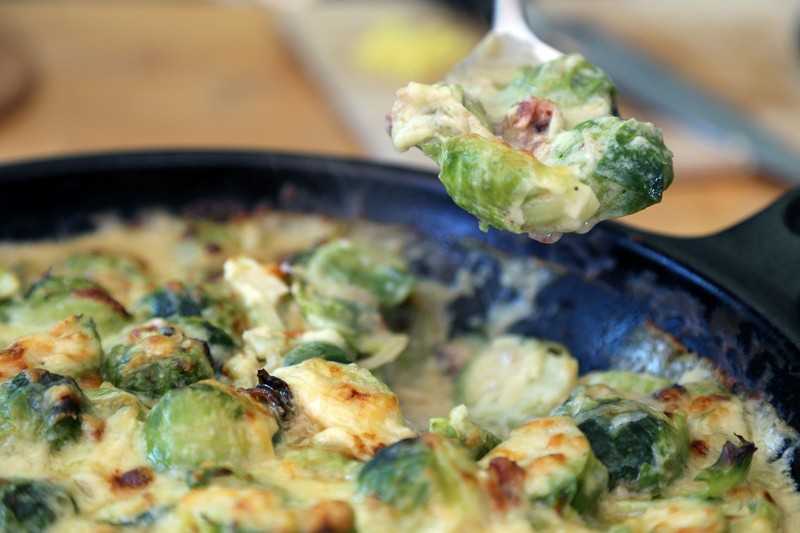 Add the Brussels sprouts to the sauce and stir to combine. Spread into an even later. 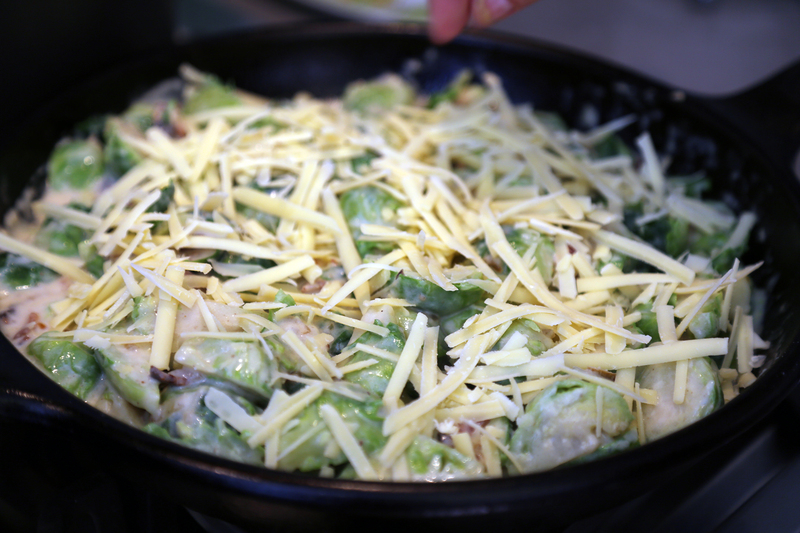 Sprinkle with the remaining cheese. Bake until bubbly and golden brown, about 30 minutes. (If you like, pop it under the broiler to brown the top a bit more.) Let sit for about 10 minutes before serving.